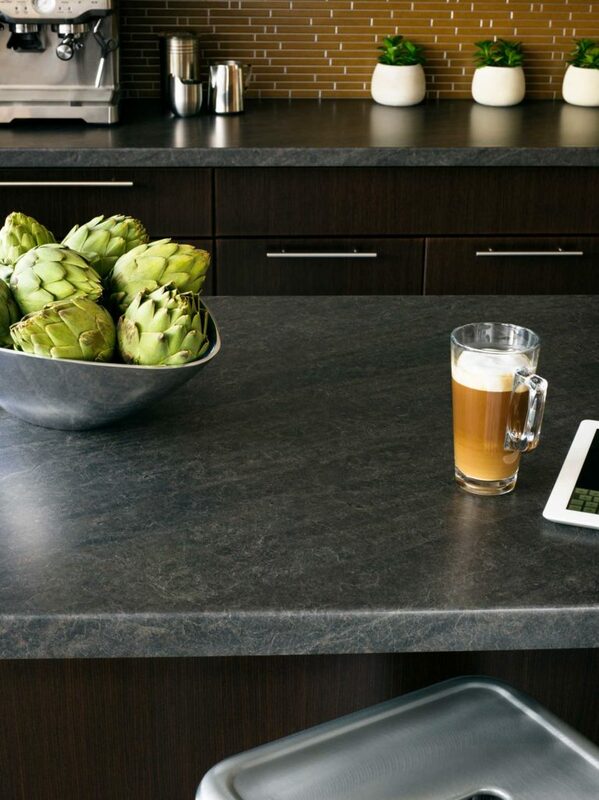 Sometimes, laminate countertops are viewed as a less desirable alternative to other materials. The truth is that laminate surfaces offer a ton of advantages that don’t always get the attention they deserve. In an effort to clear the air and remedy this misunderstanding, here are some of the great benefits of laminate for countertops. Today’s laminate surfaces are more stain resistant than ever. Regular cleaning requires only a quick wipe with a damp cloth or sponge. More stubborn stains can be treated using a mild household detergent and a soft bristled brush. No industrial strength cleaners needed here. Stay away from steel wool or other coarse pads and don’t use any acidic or abrasive cleaners. 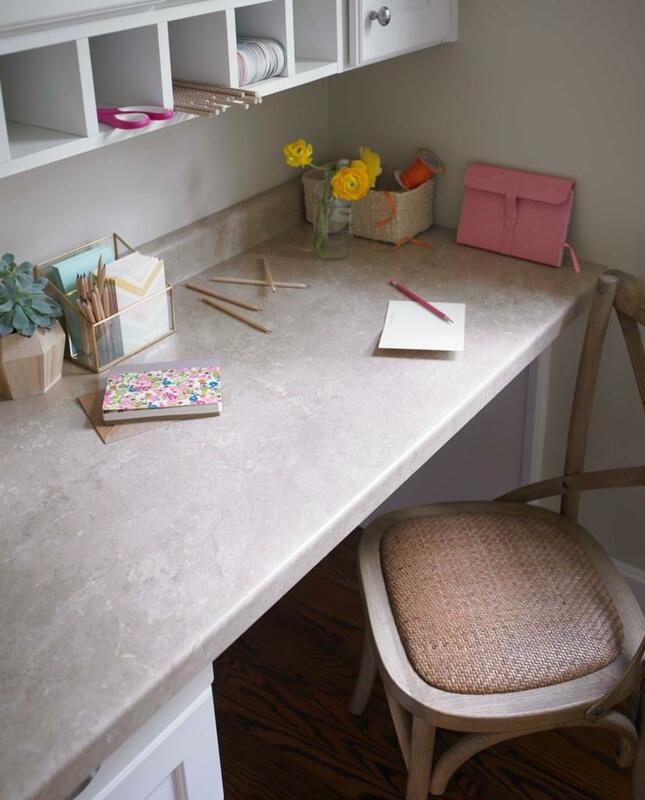 Stay vigilant about not letting spills sit and your countertop will stay beautiful for years. There’s a misconception that laminate is not a durable material. In truth, laminate is quite durable, as long as you take a couple of precautions. Your laminate countertop is not a cutting board, so don’t slice into it. Laminate can also be a bit fussy around excess heat, so don’t put a hot pot right on your laminate countertop. Aside from heat and slicing, these countertops are pretty resistant to most things! This isn’t your grandmother’s laminate. 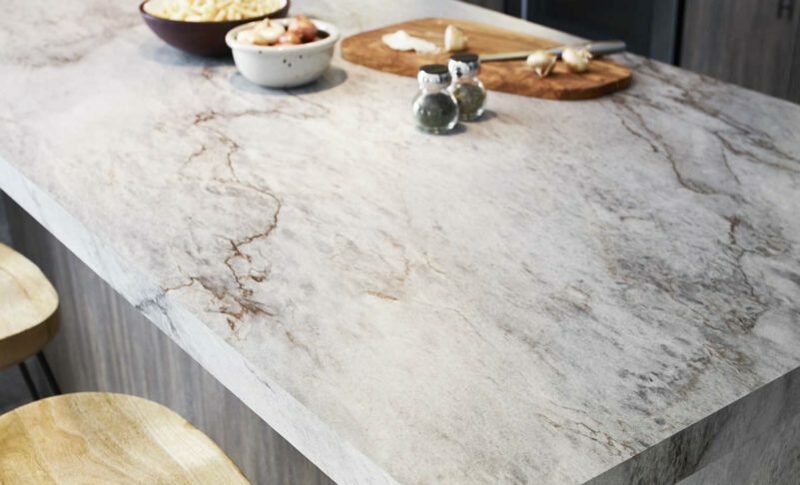 Today’s laminate countertops are made in a wide variety of different colors and patterns and as a result you can get countertops that look like wood, or quartz, or granite, or pretty much anything else you could imagine! 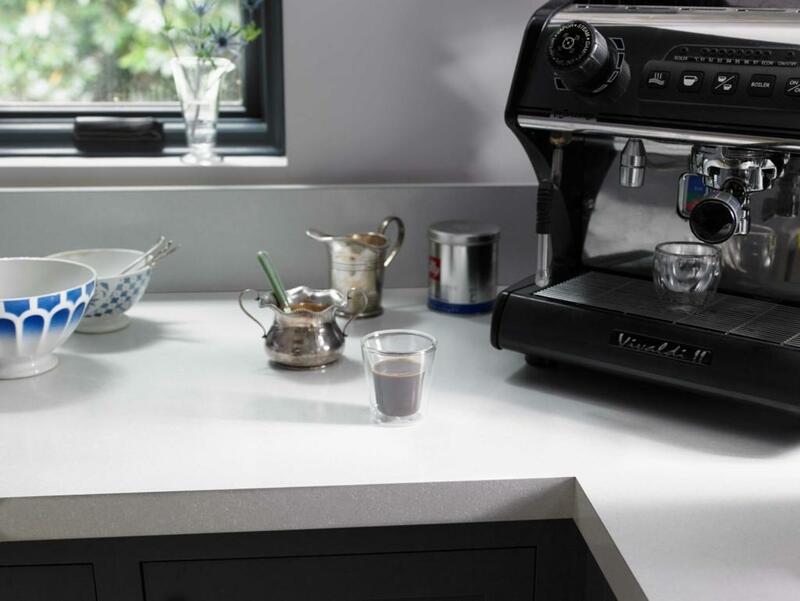 These countertops can also feature some very stylish edge profiles that add depth to your kitchen’s overall aesthetic. 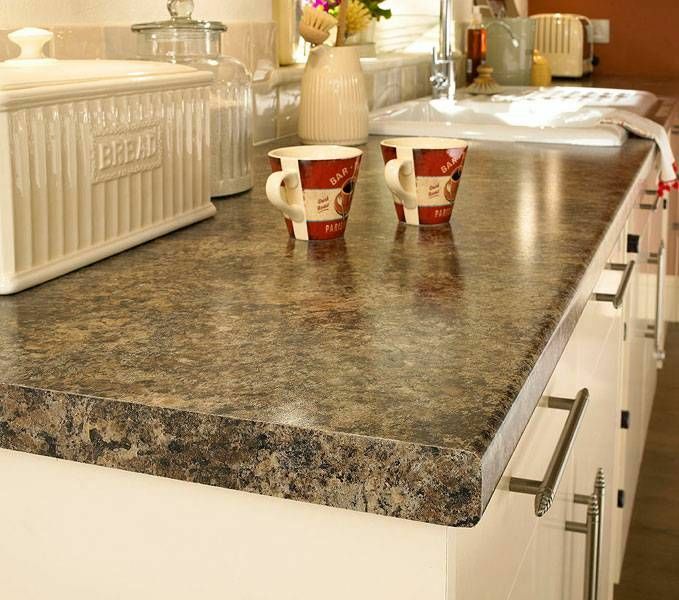 We’ve established that laminate countertops are easy to maintain, durable and stylish. The cherry on top of this delicious sundae is that laminate countertops are also a cost-effective way to change up your style in the kitchen, bathroom, office, or virtually any other room of the house. Thinking about laminate for your next project? Let us help you select the perfect look to suit your style, lifestyle and budget. Fill out the form below to be contacted about setting up a free in-home consultation.